Can I add a video to a Playlist? Yes, you can add a video to a playlist. First, create a new activity in your playlist and click "more" to see other activity types. 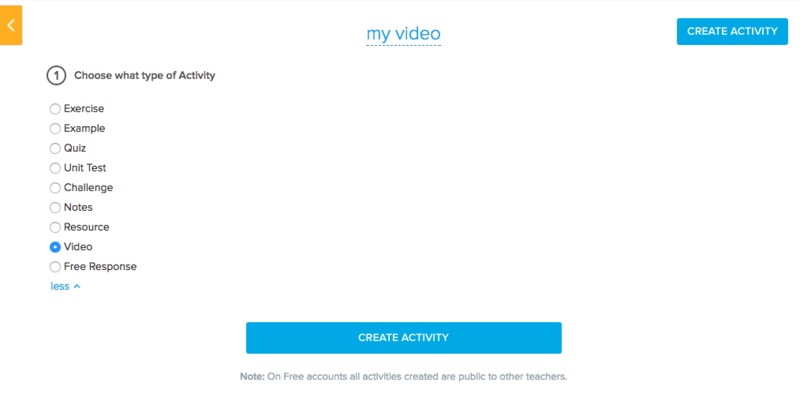 Select "Video" as your activity type and then continue. Next, fill in the description and add your video url (Your video needs to be either on YouTube or Vimeo). If the link to your youtube video is https://www.youtube.com/watch?v=Lu3qzZ1Ck9g you should use Lu3qzZ1Ck9g as the YouTube ID.